The AUTODEC® Roto therapeutic support surface provides effective and improved solutions for a wide patient management issues. Alternating pressure relief combined with advanced rotation therapy and moisture management – all in one system. Adjustable rotation angles and times. Dual compressor pump provides better performance – quiet and efficient. 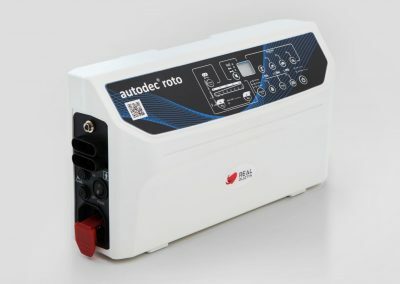 AUTODEC® Roto is recommended for round-the-clock pressure ulcer prevention and management of all pressure ulcer stages. 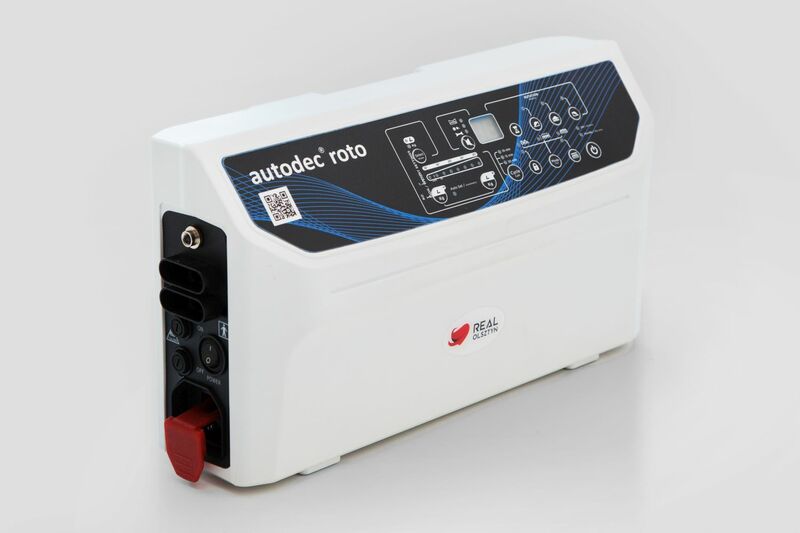 Autodec® Roto is suitable for patients weighing up to 255kg. Cells in head section are always inflated for better comfort and stability. Innovative function of lateral tilt and patient rotation operating in both alternating and static modes. This valuable feature not only improves the prevention and treatment of pressure ulcers, but also assists with pulmonary functions and reduces the manual handling. The turn time can be adjusted from 5 to 95 minutes (5min. intervals) with options to turn right or left only, as well as both sides, up to 30⁰. Side bolsters eliminate the risk of falling. The facility can be use in accordance to the needs of users (turned on/off). With the innovative iMAL system the microclimate management is easy and effective. In conventional micro air loss systems the air is coming through the micro holes made in cells, but patient’s body blocks the holes and reduces the effectiveness. The iMAL system is located beneath the mattress cells and is not interfered with patient’s body. The regular airflow helps to reduce the heat and moisture and release them to the air. It helps to achieve proper micro climate management and increase patient’s comfort. POWER FAIL ALARM – Audible and visual indicator of power loss. LOW PRESSURE ALARM – audible and visual indicator of low pressure in the mattress . An audible alarm will sound unless cancelled by the mute button. SERVICE INDICATOR – indicates the internal fault of pump. The digital LED screen displays error codes. The CPR control for quick release. Easy operated facility located on the mattress side. 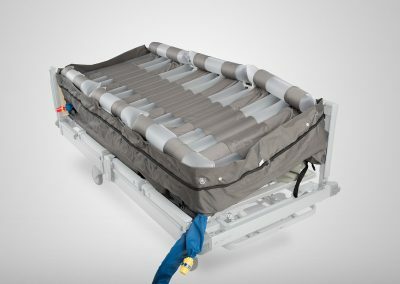 It enable rapid air deflation for emergencies, handling or storage etc. 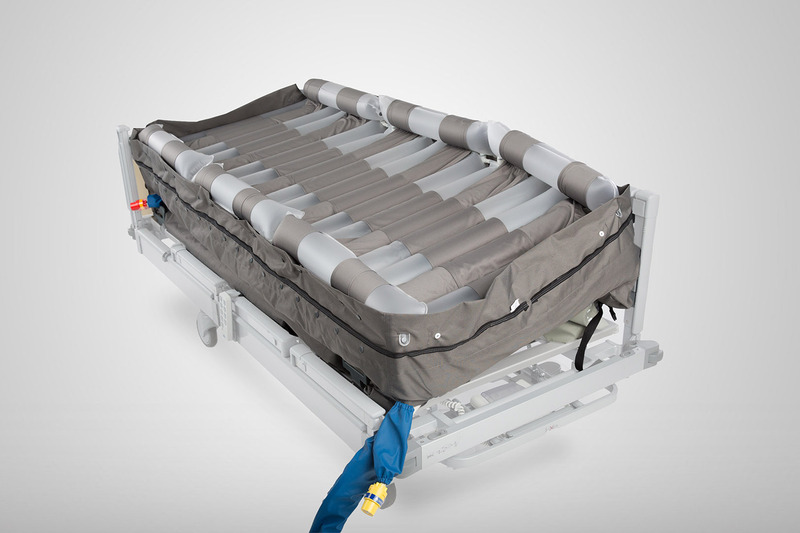 Transport facility provides patient support for up to 24 hours on a mattress. 2-way stretch top cover minimising friction and share forces. Vapour permeable and water resistant for patient comfort and hygiene. 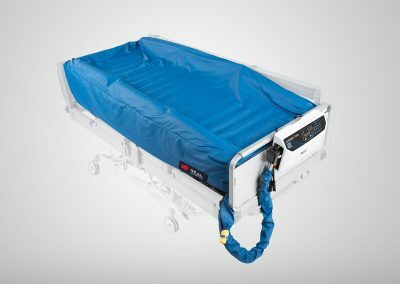 Attached to the mattress base by concealed zips to reduce ingress of fluids. Flame retardant, easy to clean. It can be completely removed for laundering.